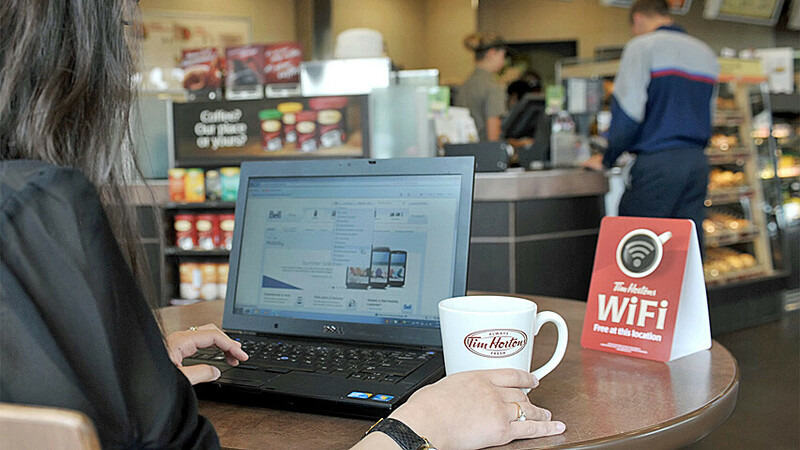 Tim Hortons is a restaurant chain more well known in Canada where 3,315 of its units are located compared with 721 in the U.S. and 6 in the Gulf Cooperation Council. More than 2,000 of its Canadian units are going to be offering customers free Wi-Fi connections for their smartphone or tablet to connect to. The service is being offered in cooperation with Bell Canada which was selected by the restaurant chain after a six-month testing process with other carriers. According to the chain, the tests showed that Bell Canada provided "fast and reliable" service. Tim Horton's is the truth!